or "The Help Experience" -- Hey I was using that! Today Microsoft are investing heavily in the mobile & tablet markets as PC sales flatten out and mobile sales increase exponentially. But there are still over a billion existing desktop users out there. So why are Microsoft so over eager to retire existing desktop technologies and force desktop users into non-desktop paradigms (ie. Windows 8)? Granted they need to invest in new markets but let's not throw out the baby with the bathwater. As a happy desktop user I don't want to be forced somewhere else. I just want stability. Keep improving what I have! Like other companies do. 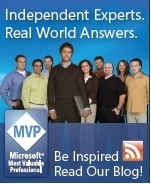 Microsoft invent wonderful technology platforms but many don't last. Customers invest heavily in them only to find later MS leaping off at a tangent. It's too costly. Microsoft execs says it's the constant state of change in the world. I just don't buy that. Abuse customers too much and they will leave you. Case-in-point I'm doing more Apple developement now. Not that OSX/iOS is better than Windows OS, but I feel they are more dependable and stable long term. Applications you build today should run in 5 years time. With Microsoft I can't say that.. Probably not. Despite what we hear about Apple catching up the figures tell us that Microsoft still dominate the desktop market. So why so eager to dump the desktop experience? We are talking a huge existing market of over a billion active desktops. But in the help area alone we have seen all MS help forums discontinued and the Help MVPs given notice (forced retirement for all in 2014). I know everything has its time, and all good things must end, but is Microsoft being too hasty in retiring these desktop technologies given the enormous numbers still dependant on them? Even Apple say there are several viable streams -- desktop / tablet / mobile. Think of the millions of developers in the world now. Just as a builder depends on tools of the trade that don't change, so too the developers need consistency. If Microsoft can't bring that consistency, improving existing infrastructure year over year, then customers will walk. MS platforms have become too costly. Million dollar software projects break in the next release of Windows. I work on these large projects. I see the time and money wasted. Good software won't rust or decay, won't break down. But is dependant on a firm consistent foundation.